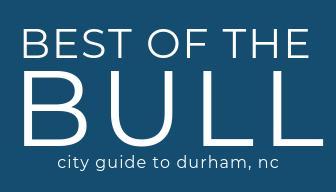 A Durham summer isn’t complete without some good outdoor concerts. The music, the people, the food trucks. Ahhhh, I love it! Here’s a lineup of where you can see some free outdoor concerts in Durham this Summer 2018. Enjoy free concerts, 6-9 p.m., on the American Tobacco Amphitheater select Thursdays May 11-Sept. 14. Picnics and coolers are welcome-no glass. American Tobacco’s restaurants will be open, and beer and wine are available for purchase. 2018 Dates: June 14, June 21, Aug. 23 and Aug. 30. ​A community music collaboration event on Wednesday evenings from 6 to 9 p.m. at Northgate Mall. Musicians and music enthusiasts are invited to come jam. Buy tickers at tickets.duke.edu Tickets will be available at the door if not sold out. PLAYlist is Durham Central Park’s 10 week summer concert series with shows every Friday night from 6-8pm, rain or shine. The lineup covers a broad range of musical styles and features local and national acts. And each show will have a great mix of local craft beer vendors and food trucks. Durham Parks and Recreation offers a summer concert and movie series in various Durham parks on Saturdays during June 9-Aug. 18. Both series are free and open to the public. Food vendors will be on site and food will be available for purchase. Check the website for locations, dates and times. Saturday, June 9, 6 p.m. – 8 p.m.
Saturday, July 7 6 p.m. – 8 p.m.
Saturday, Aug. 4, 6 p.m. – 8 p.m. Listen to free concerts featuring adult contemporary, beach and light jazz music at Cinema Circle (across from South Point Cinemas) Saturdays April 214 – Sept. 29, 6-9 p.m.